Gerald D. Dewald, age 87, 866 Bloom Road, Danville, died at the Geisinger Medical Center, Danville, on Monday evening, Sept. 17, 2018. Born in Mahoning Township, Montour County, on August 15, 1931, he was a son of the late Nelson J., Sr. and Ethel (Steinman) Dewald.. He lived in the Danville area all of his life and was a graduate of Danville High School. Gerald was employed last by Danville Automotive, working there for 20 years before retiring. Earlier he was employed at the former Philco Ford plant in Watsontown for many years. A long time member of the Mooresburg United Methodist Church where he was the longest standing member of the congregation. Gerald was an active member of the Moose Lodge 1133, Danville, where he held the Pilgrim degree and was a former State President and District 4 officer. He also held membership in Bloomsburg Elks Lodge 436; Danville Lodge 224, F & AM; and Caldwell Consistory, Bloomsburg. He was a former Boy Scout Leader and a member of the Order of the Arrow. He was a life member of the Friendship Fire Co.; East End Fire Co.., where he was former chief; and the Continental Fire Co., all of Danville. A charter member of the Danville Rod & Gun Club, he loved hunting and fishing, being at the camp and going to Canada. 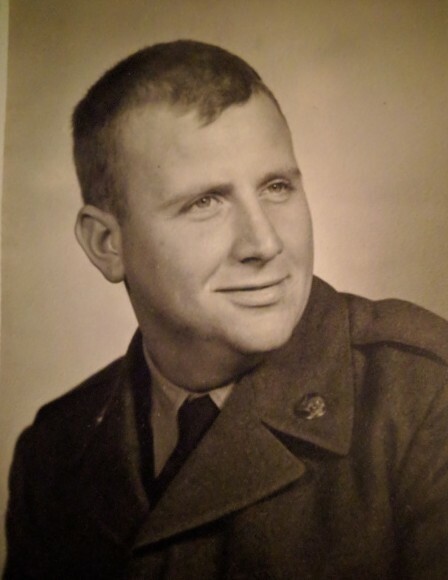 Gerald served with the U. S. Army during the Korean War and received the Korean Service Medal with one bronze star; the National Defense medal and the United Nations service medal. He later served in the Pennsylvania National Guard. He was a member of the Danville American Legion Post 40; Morris Run American Legion Post and the Danville VFW. He was preceded in death by his wife, the former Annie A. Reichenbach, on August 19, 2009; by two brothers: Nelson J. Dewald, Jr. and Earl Dewald; and a sister, Martha Dewald. Surviving are a son, Perry A. Dewald, and his wife Ann, Danville; a daughter, Renee E., wife of Theodore Benza, Jr., Millville; 10 grandchildren and 11 great-grandchildren. Funeral services will be held on Saturday at 11 a. m. in the Roat-Kriner Funeral Home, 1133 Bloom Road, Danville, with his pastor, Lisa A. Mitchell, officiating. Interment in Odd Fellows Cemetery with military honors by the American Legion Post 40 Honor Guard. Friends may call at the Roat-Kriner Funeral Home, Friday from 6-8 p. m. Danville Moose Lodge 1133 Pilgrim services at 7:30 p. m.